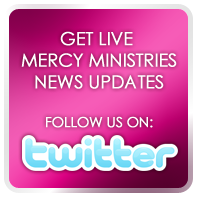 Mercy Ministries News: A Double Blessing – Straight from the Heart!! “Before I came to Mercy, I was in a pit, living only for myself. But through this whole process, God has taught me selflessness and what it was like for Him to give up His only Son. It helped me to take my eyes off of myself—my depression and my rejections. Even though my choice to give my babies up for adoption was the hardest thing I have ever done in my life, it actually saved my life. I have experienced first hand that God gives us the desires of our heart, and He has answered my every desire in providing the perfect family for my babies. God was faithful with the desires of my heart and also knew the desire of this family’s heart to adopt twins. This family was an absolute divine connection for me.